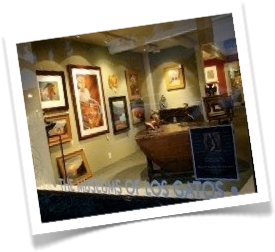 Los Gatos Museums Gallery 24 N. Santa Cruz Ave., 408-354-4530. Tu-F 10-5:30, Sat 10-5, Sun 11-3. This gallery’s artist members are invited by a jury, and they each take turns operating the business end. So the person you ask questions of might be the very artist whose work you are admiring. Everything is for sale, and 70 per cent goes to the artist, 30 per cent to the Museums of Los Gatos.